Best Buy is shuttering up its windows and moving out, a defeat on the heels of Home Depot’s similar move out. Home Depot’s model was to have expert salestaff who could show their target demographic, couples with time on their hands, how to cheaply do remodels using Home Depot supplies. This model failed because in China it is much cheaper to buy supplies wholesale and use the vast migrant labor force for any building projects. Where Home Depot failed was in thinking they could compete on price in labor. In the US labor is expensive so do-it-yourself is cheaper, even when the supplies aren’t. Best Buy was competing on price within consumer goods though. So why did Best Buy fail? The reason is closely related to the challenges my good friend faces in wine imports. He imports South American wines, which are considerably cheaper than continental, and highly regarded in the US. In China however, Napa won’t sell before Naples, and Buenos Aries bows to Bordeaux. Just as the wealthy have built gated condo communities outside of major cities, China is eager to import the cache of true European luxury. “Taste” is only relevant to label choice. It would seem Best Buy targeted the same demographic, middle to slightly affluent Chinese consumers. So what is China’s middle class? According to Key Indicators for Asia and the Pacific 2010, “middle class” in China is defined as a daily consumption of $2-20. A latte in China is comparable to the US, even at Starbucks ripoffs. Clothing is considerable cheaper, although the middle class prefer foreign brands which on nearly on par in price with brands targeting middle class consumers here. 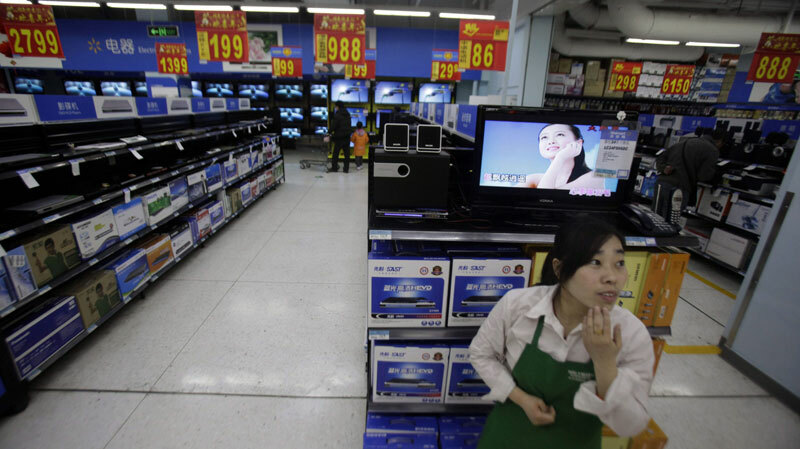 Foreign brand electronics in China are also similarly priced to discourage black market selling. Now ask yourself, if you could only spend $600 a month, minus utilities and phone bills, would you spend $200 on a DVD player? Or a $700 tablet? And if you were going to buy a tablet, would you buy the Korean rip-off (Samsung), or would you go over to the Apple store to get the considerably cheaper $500 iPad, which has far more cache? Or, given the option and loose IP protection, would you buy a $250 black market iPad? When Best Buy first opened they had inhouse Apple stores. Apple soon opened their own stores. This erased Best Buy’s main offering: Access to the same luxury goods as foreigners coveted. A Chinese citizen equivalent in age to American Baby Boomers, grew up during Mao’s “5 year plan” fiascos. They entered the job market only as Deng Xiaoping was just opening up the country to foreign businesses interested primarily in the Chinese labor force. They were exposed to foreign technology and design as a superior model, and with Gen X, began the transition away from the old propaganda claiming China was superior economically and developmentally. Chinese consumers themselves absorbed the negative stereotype of “Made in China” products. Just as we once equated French imports as “luxury goods”, China has equated Western imports with luxury. Today’s Chinese Millennials have a lot more pride in their country and its potential. They emerged from universities during and in the wake of September 11th and Wall Street’s fall. They saw the US, and the West, as debt ridden, overweight and academically lazy countries whose time had come. The economic crisis however has hit China too. These same bright Millennials, often already sporting Masters, have had difficulty finding work in China’s urban centers. They’ve been nicknamed the “Ant” tribe, for the way they live in dilapidated apartment buildings, feasting on ramen and the dreams they were once spoonfed of a better China. Unlike the US Millennials who have “returned to the nest” in droves, many of the Ant tribe do not have wealthy parents to live off. At least not “wealthy” by American standards. They also wrangle more with the Asian values of saving face and have taken up jobs as waitresses, cleaning people, delivery boys in order to continue to live in the urban centers they’ve grown accustomed too. Bottom line: GenY Chinese don’t have disposable income for fancy imported electronics. For those who do have money, the prestige of having foreign goods is much more blunt than in America. A “preppy” revolution in the eighties in America separated the emerging middle class with the older affluent families. Taste was defined by subtle branding, classic looks and higher quality goods. The nouveau riche were more likely to be “blinged” out, favoring prominent logos, flashy cars and large homes. This trend continued as a widening middle class attempted to “keep up” adding on more debt and leading to the economic crisis. In China there were few “old families” besides those associated with the government. The majority of Chinese middle class and affluents are nouveau riche. The result is a culture where having an “LV” bag is every girl’s dream. Now a winning example, because I wouldn’t be worth my stuff without giving some positive advice for success in China. KFC was one of the first movers into China. They came in with a cheap, but yummy product, and a business model which competed predominantly on price. Unlike Home Depot or Best Buy, KFC was quick to recognize they were dealing with an entirely different demographic, and needed to change their business model. Marketing and business are inextricably tied, and one of the best value adds your marketing teams can give you is feedback on your brand and the product itself from consumers. What KFC discovered was Chinese consumers coming out of the bad years considered meat a luxury. They saw KFC, a foreign brand, as a luxury product. At $2 for one serving, equal to the total daily expenditure of the lower middle class today and of much of the upper class when KFC first entered China, KFC was a splurge. So KFC completely changed their store model, creating a middle class dining experience. They altered some of the menu to cater to Chinese tastes, (they put corn in everything, even pastries and yogurt, totally gross), and kept their prices comparable with the US so they weren’t competing there. In effect KFC sold an aspirational lifestyle which had no relation to their American consumers. 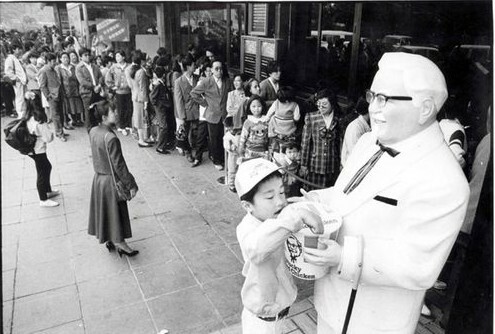 They paved the way for other US fastfood chains, and to this day foreigners are more likely to be invited to a KFC at least once during their stay in China, over McDonald’s, Subway or any other foreign brand. So my advice to companies trying to follow in the wasteland of failed foreign brands: Throw out what you know. Do your homework, focus on the goal, making money, and reconsider what your selling. Looking at what you’re selling from the Chinese consumer’s perspective is all the difference. For Home Depot they were selling expensive materials. For Best Buy they were selling marked up, mostly Asian-made electronics you couldn’t haggle for. For KFC they were selling the experience of an American lifestyle and with foods catering to local tastes. And remember: China doesn’t want cheap America. China made cheap America. For companies not interested in entering China: Same rules. If you’re sitting in your Mad Ave office ruminating on how to reach Midwestern Moms, and considering staging an “event” in Times Square, because there will probably be some tourists there: STOP NOW. Go back to your product. Go back to your market research (assuming you did your homework), and look at your product from those consumers’ perspective. Will this make my life easier? Will this impress the neighbors? (Who live on Park Street not Park Ave.) Can I, the Midwestern supermom see myself in this scenario? Is there an alternative currently in my life which makes your product or brand seem redundant? My mom bought an iPhone because she saw me finding directions to a restaurant on it. When selling local, think like a local.